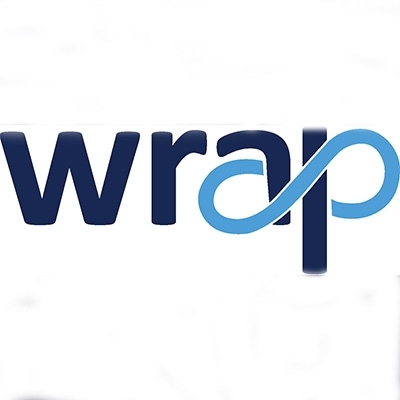 WRAP's vision is a world in which resources are used sustainably. Our mission is to accelerate the move to a sustainable resource-efficient economy through re-inventing how we design, produce and sell products; re-thinking how we use and consume products; and re-defining what is possible through recycling and re-use. Being National Storytelling Week, it got me thinking about my eighteen year old nephew, Jack, and about his generation of teenagers. By 2050, many of them will be in their fifties. They may have children, or even grandchildren by that age. I think about how they will describe their younger years. When I was young, I used to listen to stories from my elders about what it was like during the war. I heard of stories about air-raids, but also how Britain had to become more self-sufficient - clothes, furniture and fuel were rationed, and perhaps most famously, food. Today’s situation is very different. Fortunately, Jack’s generation don’t have to worry about rations and world wars, and long may that continue. But while resources seem plentiful today, the reality is that it comes with a future cost. So what will the young generation of today tell the young generation of tomorrow? I see two possible stories. Both tell a story of a world where resources seemed plentiful, and so people consumed as much as they desired. But in only one scenario, they understood that the future of their resources wasn’t guaranteed, and most importantly, acted upon it. People in the developed world, could eat as much food as they liked. So much in fact, that globally, a third of all food, ended up as waste. That’s one in every three meals, discarded. This had wider ramifications. Whilst twenty per cent of the world’s population were overweight, there was another fifteen per cent that went malnourished. Fast fashion was fashionable. In the UK, the average household contained around £4,000 worth of clothes, although 30% remained at the back of the wardrobe and would go unworn for a year, maybe more. Every year, about 350,000 tonnes of this clothing was sent to landfill - a crying shame, because so many resources went into making clothes. Just a single cotton shirt required 4.2 m2 land and 3,900 litres of water to be produced – a real drain on the Earth’s capital. The electrical market was fast moving, and products such as white goods were often only used for a couple of years. Once people were finished with their product, 40% of them were sent to landfill to be buried. But for every ten million tonnes of electrical goods that were sent there, 20 tonnes of gold, 400 tonnes of silver, and seven tonnes of platinum group metals would also be lost in the process. And these were just a few examples - this pattern was echoed across different areas. The mines were exploited, the trees were felled, the oil was depleted and the resources were squandered, until eventually, life became very difficult. The young generation of today will explain, this is why, the world in which you live in today, has so few resources left. We have inherited many challenges that the previous generation didn’t have to contend with. Eventually, people began to realise, that they couldn’t go on that way. They began looking at sustainable lifestyles, and how individuals and businesses could produce enough food, but without wasting it. They began to design clothes for longevity, and ways that textiles could be re-used in a variety of ways. Rental, refurbishment and rewards systems became common place for electronics. Business models that reduced their reliance on the Earth’s natural capital, and became resource efficient were widely adopted, not least, because they were profitable. Circular approaches replaced the linear, ‘make, use, throw-away, make another’ model, as the norm. This in turn created jobs, and preserved materials for future generations. I know which scenario I would prefer, and I know what legacy I want to leave for the young, hopeful generation of today. A new report just published, The Global Calculator, shows that we can continue to prosper beyond 2050, although in order to do so, we must transform our way of thinking. We must transform technologies, and make smarter use of our limited land resources. But we need to act now, and we do have solutions. WRAP has been pioneering circular business models with companies for over a decade, as well as initiating powerful behaviour-change consumer campaigns and tools to help this become a reality. As Robert Baden-Powell, founder of the Scouting movement once advised ‘leave this world a little better than you found it’, and that’s something that I want to see applied to resources. I’ve said before, that I worry about today’s teenagers being an unlucky generation with uncertain prospects. But it’s not too late for them. We have an obligation to make this story have a happy ending. And by adopting sustainable principles, no one will have to finish the story of the Earth’s resources with ‘The End’. Liz Goodwin is the chief executive of WRAP, which works with businesses, individuals and communities to achieve a circular economy through helping them reduce waste, develop sustainable products and use resources in an efficient way.